MUMBAI: Audiences always go gaga over the looks and costumes of actors in television shows. 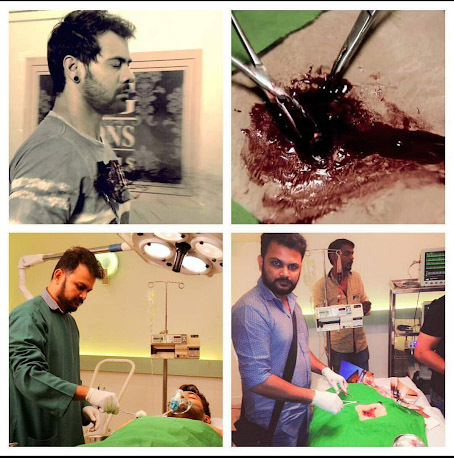 It is the make-up that adds to the character and makes it more convincing. Imagine the vamps of television without their special looks. Will they be convincing enough? Well, the answer is no. What makes a character popular apart from acting skills is make-up and costumes. Unfortunately, make-up artists are not often acknowledged or mentioned when a character achieves success. It’s sad that they don’t receive due recognition. To honour them, IndianTelevision.com introduces the 15th edition of our annual Indian Telly Technical Trade and Programming Awards, which recognize the best in television production, editing, writing, direction, distribution, and creation. 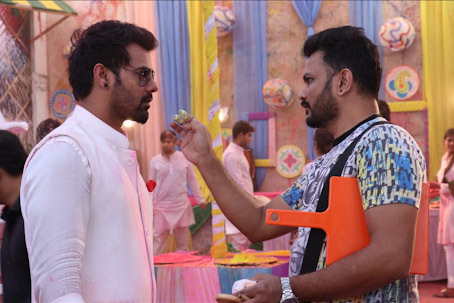 In a candid chat with TellyChakkar, Sanket Premalwar, professional make-up artist to two handsome hunks, Shabbir Ahluwalia and Sharad Kelkar, talks about his struggle. Sanket comes across as a very positive person who is grateful for the work he is doing. With his hard work and perseverance, Sanket has managed to become a reliable name in the industry.